Navigating the job market for the first time can be challenging, but if you're a recent grad who left college with a mountain of debt, you'll probably want to land an offer as quickly as possible. And knowing what traps to avoid in your search can help make the process far more efficient and successful. Here are some key pitfalls to stay away from. Job interviews can be intimidating if you have no experience going in. But that's no excuse for getting tripped up on the spot repeatedly. 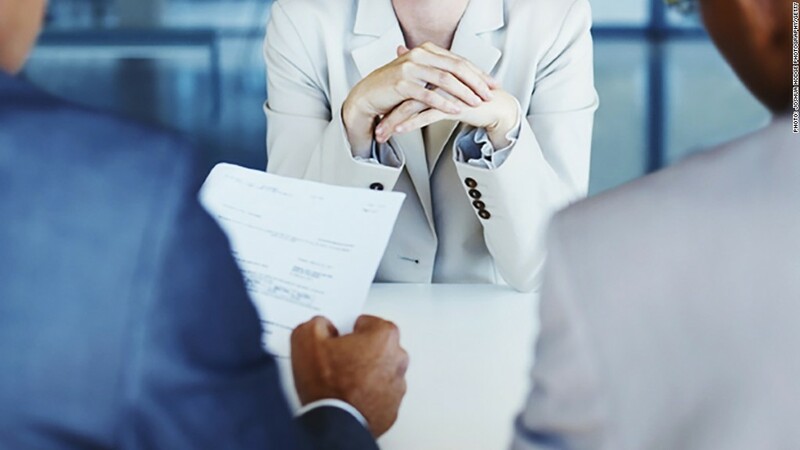 To avoid blowing your chances of getting a job, spend some time honing your interview skills. Read up on the most commonly asked questions, and practice your answers in advance. You might also enlist the help of a friend or mentor to run through a couple of mock interviews with you. This way, you'll be more familiar with the flow of an interview the next time you have a real one. While online boards are a great place to look for work, don't just limit yourself to job-hunting sites. Rather, reach out to the people you know who are already employed, and put it out there that you're looking for work. This includes neighbors, family friends, and even your former college professors. It's estimated that up to 80% of new jobs are either filled internally or via networking, so if you stick to the internet alone, you might miss out on key opportunities. It takes time to create a resume and craft the perfect cover letter, so it stands to reason that you'd rather not have to revisit that process over and over again in your search. The problem, however, is that if you don't tailor these documents to the specific roles you're applying for, you're less likely to get your foot in the door. Therefore, while you don't need to completely redo your resume and cover letter each time you submit a job application, make sure your resume highlights the skills most relevant to the role in question, and that your cover letter explains why you're the ideal candidate for it. When you're eager to find work, it's natural to err on the side of not being overly selective. But if you continue applying to the wrong jobs, you're only going to waste your time — especially if you're tweaking your resume and cover letter as you go. Before moving forward with an application, read the job description carefully, and make sure you reasonably meet the associated criteria. If there's a posting that lists eight distinct requirements, and you're solid on six of them, by all means, apply. But if you're missing at least half of the qualifications the employer wants, you're generally better off focusing your efforts elsewhere. If you're coming away from college with a load of debt (which is the case for many new job-seekers), you may reach a point where you start to get a little desperate to find work. But don't let that drive you to apply for a role you know you don't want. If you are hired, you're apt to wind up miserable very quickly, at which point you'll be forced to either stick out that terrible job or leave within a few months, which won't necessarily look great on your resume going forward. A better bet? Find some temporary work while you search and hold out for a full-time role with long-term potential. The job market can be daunting when you're new to it. Follow these tips, and with any luck, you'll land that perfect entry-level role before you know it.